Air conditioning has been used in commercial, industrial, and residential environments for many years and the effectiveness and the efficiency of these systems has increased. Design of the systems has become more complex and more sophisticated and, as a result, these advanced systems are able to function far more effectively in a range of environments. There has also been a lot of recent development in the technology associated with how these systems are managed and the way that their functions are monitored and controlled. Industrial air conditioning has benefited greatly with systems that are able to be monitored in real time so that any issues are addressed quickly, and the systems will operate at peak efficiency. The residential environment has become very reliant on air conditioning systems during summer. In Melbourne, we know that summer can mean some days that are very hot, particularly during January. But we are also experiencing more hot days at other times as well. The design of older houses has meant that they need cooling during these hot months. Many new properties are not taking advantage of passive cooling techniques, but they are being designed to have air conditioning systems installed. There are two types of air conditioning systems that are usually considered for residential properties. These are ducted and ductless systems. Ducted systems are where there is a central air conditioning unit. There are flexible ducts that are connected to the system. They run under the floor or in the ceiling space and they are connected to vents inside the property. These vents may be in the floor, in skirting boards, high up the wall, or in the ceiling. It is intended that the vents will not be very noticeable but will be able to provide a consistently cool environment. There will usually be a thermostat placed on a wall that is used to set the desired temperature, and once it has been achieved, switch off the system. The effectiveness of the ducted system will depend on several factors. Firstly, the size and output of the air conditioning unit itself will be important. It is best to select a unit that will be operating at peak efficiency for the amount of space that needs to be cooled. There is also the ducting that is installed that must be suitably insulated and should provide the minimum of disruption to the flow of air so that the cool air will reach the rooms as quickly and efficiently as possible. A ductless system is also known as a split system. It usually has three elements. There is the condenser or compressor that sits outside the property. There is the air distribution unit that is installed on an interior wall of the property. There is the conduit that is used to connect the condenser to the air distributor. The air distributor will have the coils where the air is passed over the chilled coolant to make it cool, a fan for pushing the air into the room and air filters to remove dust and allergens. It will usually have a thermostat built into it that is set using a remote control and will automatically switch off the system once the desired temperature is achieved. The condenser will contain the compressor which is the important part for chilling the coolant which then flows into the property. Heat is also extracted from the coolant that flows out through the conduit from inside the property and is then released into the atmosphere. The chilled coolant then flows once more back into the property. 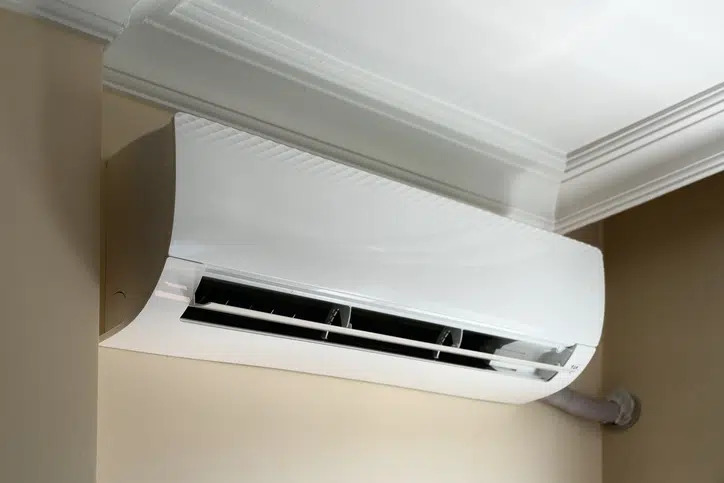 The condenser will usually sit outside the property in a metal frame on a small concrete slab with the mechanism that is used to transfer the heat and a fan that blows out the hot air into the atmosphere to dissipate. An industrial air conditioning system will usually be a centralised cooling system that has a sophisticated ducting system that enables the cold air to be distributed. It is similar to the ducted system that is able to be used in residential cooling, but on a much bigger and more sophisticated level. Within this ducting system, there will usually be baffles and controls that facilitate the efficient distribution of the cool air throughout the building. It will have a system of thermostats inside the property that allows for different areas or zones to set the required temperature. There will be technology for monitoring the system and sensors to ensure that temperature and humidity levels are suitable. There should also be processes in place to monitor air quality. Many of these systems will vent cool air from inside the property and replace it with external air every couple of hours. This is to ensure that levels of internal pollutants are kept low and that air quality standards are able to be met. There are new systems that have introduced that provide more effective filtration of the air. 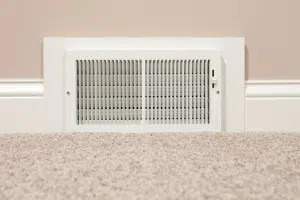 These are able to keep the level of pollutants down so that it is not necessary to vent as much of the internal air and this makes the systems far more energy efficient. There has also been development in the types of ducts that are able to be used with these systems. Flexible lightweight ducts offer a simple and cheap solution in spaces where it is more difficult to arrange installation. For industrial environments, the air conditioning system that produces the cold air is usually created as a single unit. These units are able to be transported and installed easily and they are able to be used in arrays to match the scale of the site. 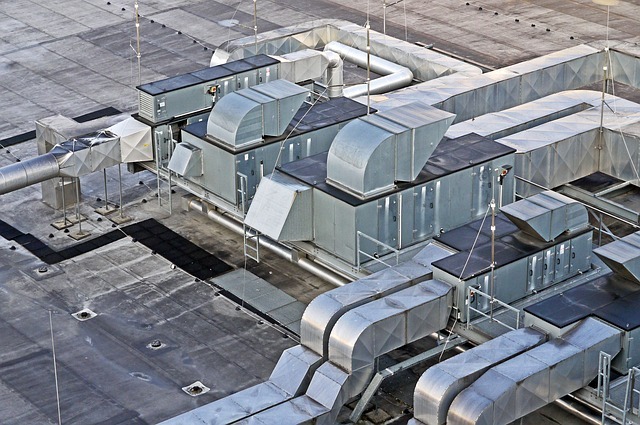 Often these are installed on the roofs of commercial buildings so that the heat is easily dissipated and the noise of their operation is not noticeable. If you are considering industrial air conditioning systems, then speak to one of the experienced air conditioning services in Melbourne. It is important to consider some of the technological advances that have been achieved as they are able to produce substantial long-term cost savings, particularly with the ever-increasing price of electricity. Having a professional installation and service agreement will ensure that your equipment will continue to function well for many years to come. Contact Advance Heating & Cooling on (03) 9310 1990 today!